Using the URL provided below and your own Organization ID you can allow your staff to launch the Staff Portal remotely (through a URL as opposed to from within your database) and enable access to any of the features. This could be at your premises on an iPad on the gym floor, or from a home computer through a link on your website. 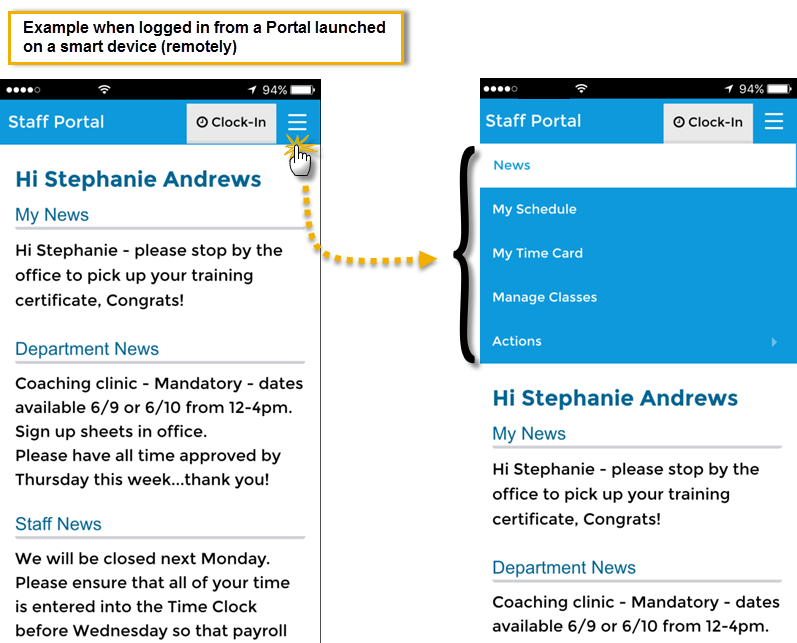 The Staff Portal is mobile friendly, making data entry on smart devices easy! In the Features section set Allow Remote (feature name) to Yes for the feature you want your staff to be able to update remotely (the default is No). Using the link below you can add access to the Staff Portal launch page on your website or you can simply email your staff the link (in the blue box) to bookmark. The link can be saved on a smart device and accessed just like an app. See Save and Launch the Remote Access Staff Portal as a Web App for full instructions. Remember to substitute YOUR ORG ID in place of the XXXXXX! Find your Organization ID under Tools > Online Web Registration.